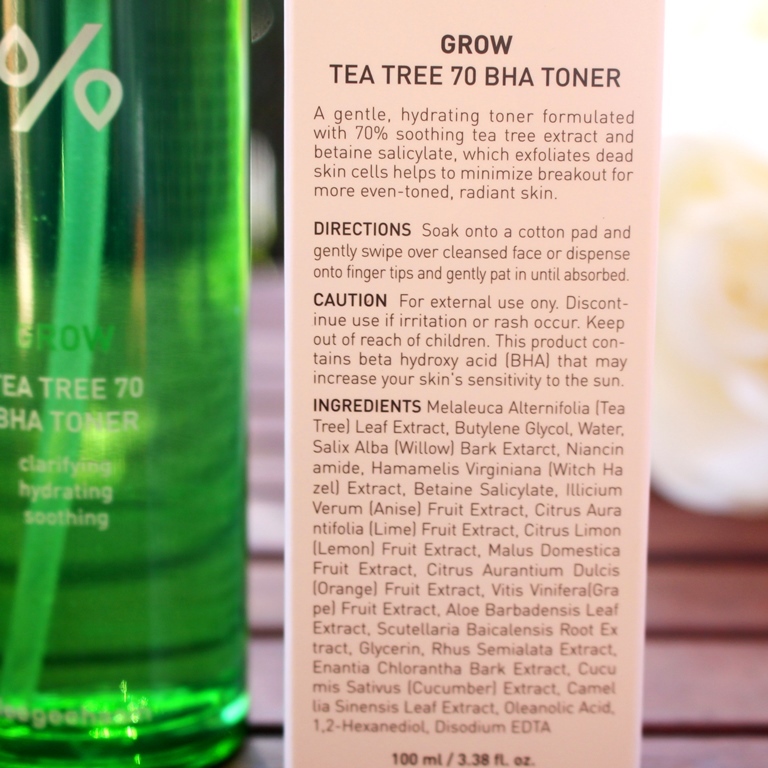 The LeeGeeHaam Grow Tea Tree 70 BHA Toner claims to be a gentle, hydrating toner formulated with 70% soothing tea tree extract and betaine salicylate to exfoliate dead skin cells and help to minimize breakouts for more even-toned, radiant skin. 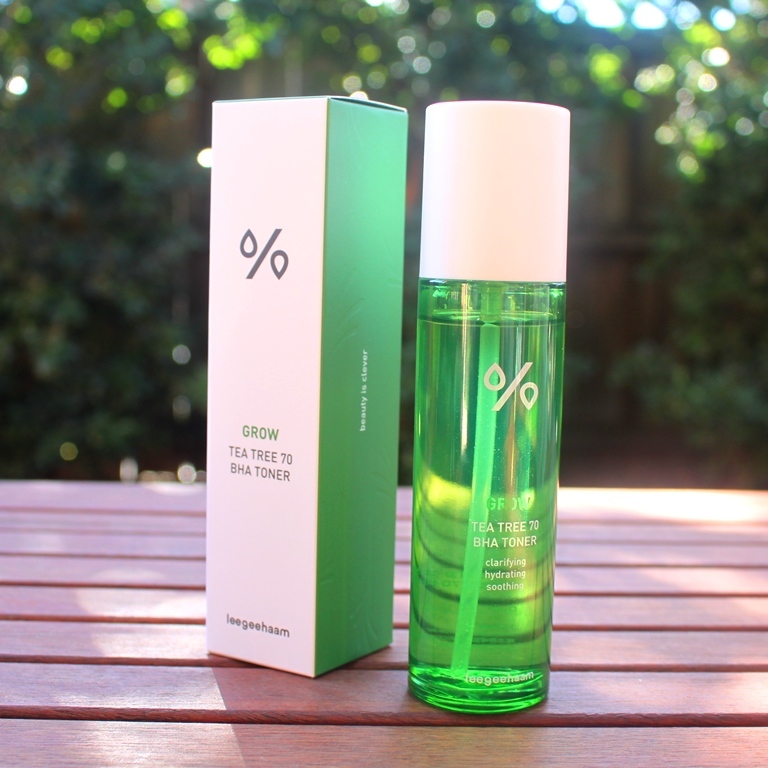 As the title suggests, the star ingredient is of course Tea Tree Extract, known for its anti-inflammatory capability and ability to deliver acne relief. Derived from the native Australian Melaleuca alternifolia tree, it comprises terpenes which are responsible for the ingredient’s remedial properties. Antibacterial, antiviral and antifungal behaviour makes it ideal for treating acne and skin infections. 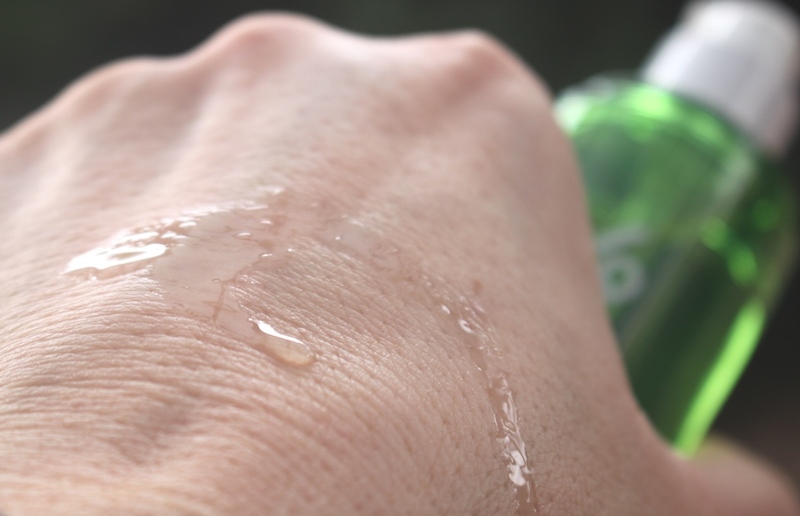 A study from the University of Minnesota found Tea Tree Oil to be just as effective as benzoyl peroxide at treating acne but without the negative side effects of redness and peeling. It is able to clear pores of sebum to help prevent blackheads and acne forming. However, it can be sensitizing since it also includes linalool, limonene and eucalyptol. Willow Bark Extract is a source of Salicylic Acid while Betaine Salicylate is derived from sugar beets. Both are Beta Hydroxy Acids (BHAs) and natural exfoliants. Their strength lies in their ability to cleanse pores and shed dead cells, in doing so, stimulating new cells to form which over time helps to alleviate the appearance of discolouration, acne scars and fine lines. Niacinamide is a restorative agent, a well tolerated form of Vitamin B3 that offers multiple skin benefits. It helps to brighten skin by inhibiting melanin production. It is an effective treatment against hyperpigmentation at concentrations of at least 2% and provides a strong defense against the appearance of discolouration and age spots. Niacinamide is also able to improve the appearance of enlarged pores, uneven skin tone, fine lines, dullness and to strengthen the skin surface. Excellent anti-inflammatory sources, Witch Hazel and Aloe Vera help to soothe redness and irritated skin, the former also offering astringent properties to help tighten pores, the latter additionally adding moisture. Citrus Oils are included for their many benefits, even though they can be sensitizing to some. 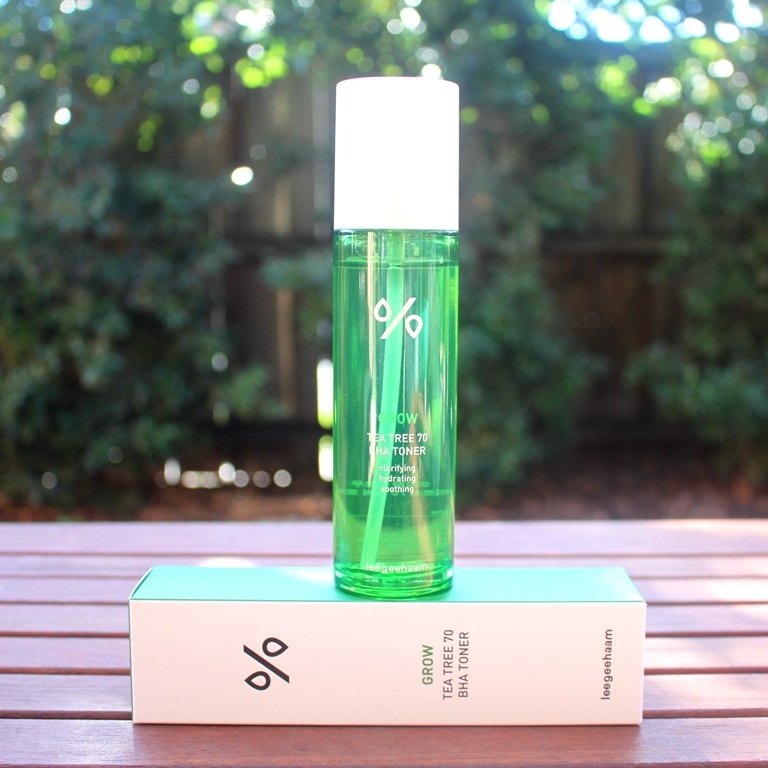 Citrus extracts are included to enhance anti-inflammatory, antioxidant and acne fighting properties. 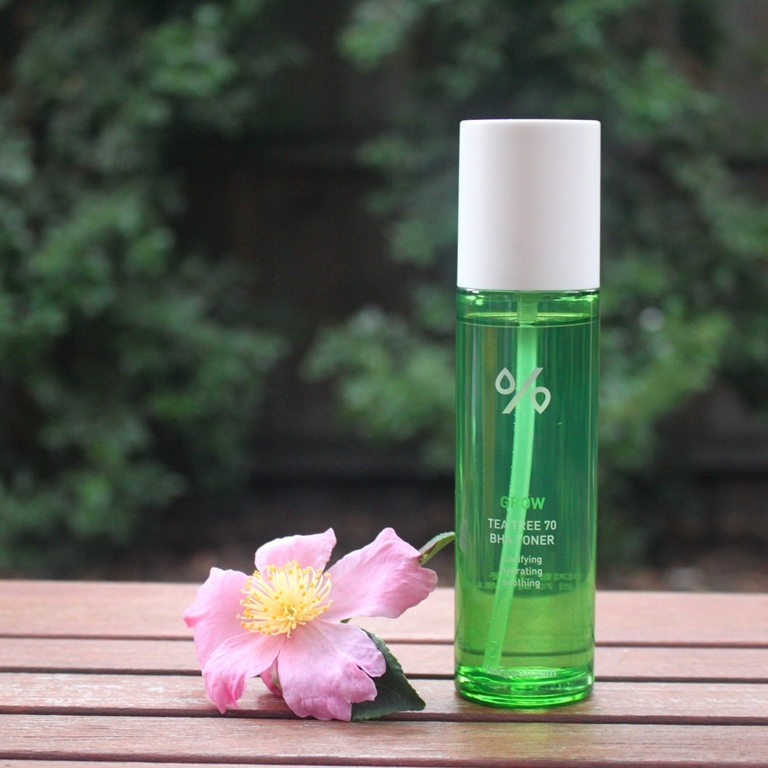 Botanical Extracts boost the toner’s antioxidant capacity, neutralizing free radicals that can lead to premature ageing. Butylene Glycol improves the effectiveness of other skincare products and is included at a generous concentration, named second on the ingredient list. It increases the penetration of ingredients with higher molecular weights to ensure their maximum benefit is achieved. 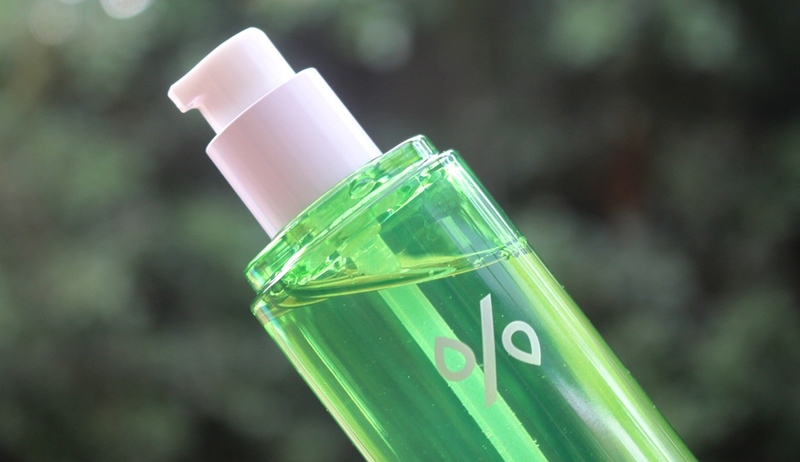 It also displays humectant properties, drawing moisture to the skin from the atmosphere to boost hydration. The LeeGeeHaam Grow Tea Tree 70 BHA Toner is presented in a plastic clear green tinted bottle with a pump action dispenser and protective lid. An ideal assessment is returned from both the CosDNA and EWG databases, rating the toner an ideal low hazard with absolutely no warning flags. Directions advise that this product be used in one of two ways. Firstly, soaking a cotton pad and gently swiping it over a cleansed face. Alternatively, patting the product on with fingers until absorbed. The brand also recommends following up with a hydrating toner for additional glow and warns against increased sun sensitivity. As such, sunscreen should be applied frequently. 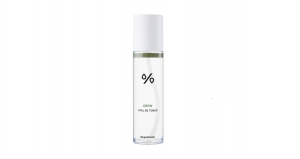 This LeeGeeHaam Grow Tea Tree 70 BHA Toner has a light scent resulting from the botanical and tea tree extracts that dissipates upon application. A 100ml bottle of the LeeGeeHaam Grow Tea Tree 70 BHA Toner sells for around US$30.00-US$34.00. 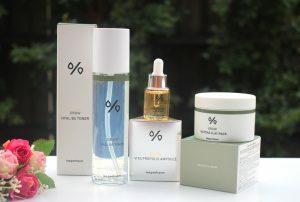 LeeGeeHaam products are available at Korean skincare boutiques. I received mine directly from the brand for the purpose of review. The toner has a three year shelf life. I was unable to locate a duration of use after opening. 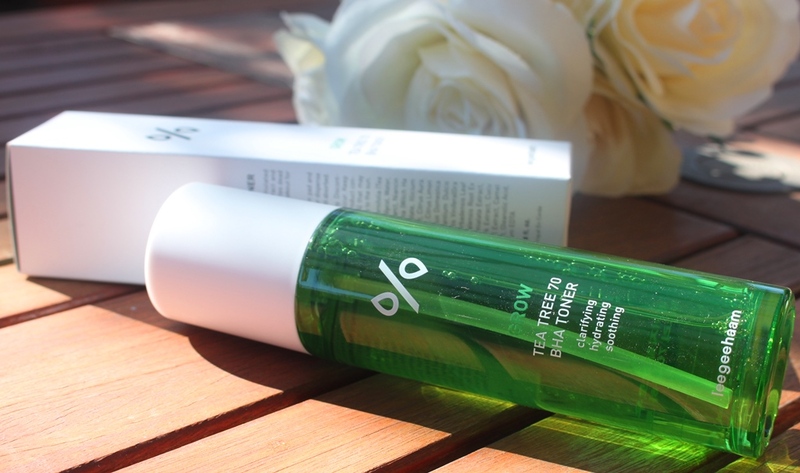 The LeeGeeHaam Grow Tea Tree 70 BHA Toner is presented in a sleek, cylindrical bottle with clean, white pump dispenser and cap. This is a pleasant alternative to the dropper cap. It allows for easy, measured and clean product dispensing. 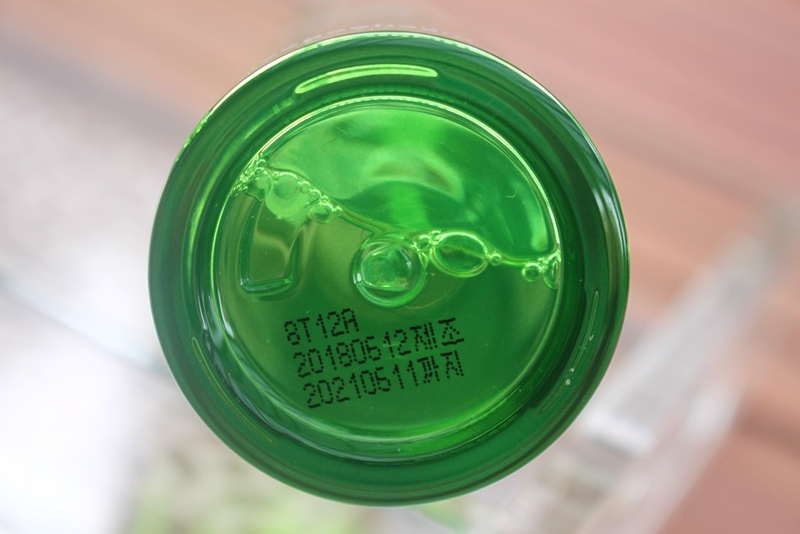 The minimal labeling assures product elegance while the smart green and white package confirms brand consistency. The toner itself is water like in appearance and viscosity. 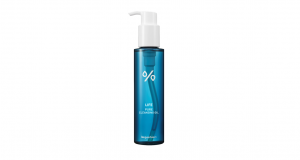 It has a mild scent that results from the botanical extracts and tea tree base which makes up 70% of a water free formulation. The smell is not unpleasant and somewhat medicinal. It dissipates as soon as the product is absorbed. This happens quickly. It leaves a very slight resistance/film on the skin, but given this is such an early step in the skincare routine, I find it really doesn’t matter since it is followed up with a hydrating toner, actives and moisturiser. Instructions advise to soak and swipe with a cotton pad or pat the product in with the fingers. Personally, I prefer to swipe acid toners as I find it more satisfying and effective at shedding dead cells. This product was used daily for three weeks before I recorded my observations. I integrated it into my regular evening routine, applying it after double cleansing following up with the Klairs Unscented Supple Preparation Toner, serums and moisturiser (and sometimes a sleeping mask). I dispense approximately 6 pumps onto a cotton pad and swipe it across my face and neck. It did not irritate my skin and I showed no signs of reaction or sensitivity. Although I did not feel any uncomfortable sensation with it, not even tingling, I would avoid using it after a physical exfoliation, scrub or on compromised skin. Furthermore, I follow up with sunscreen during the day. It doesn’t leave the skin feeling dry or stripped like exfoliants often do. 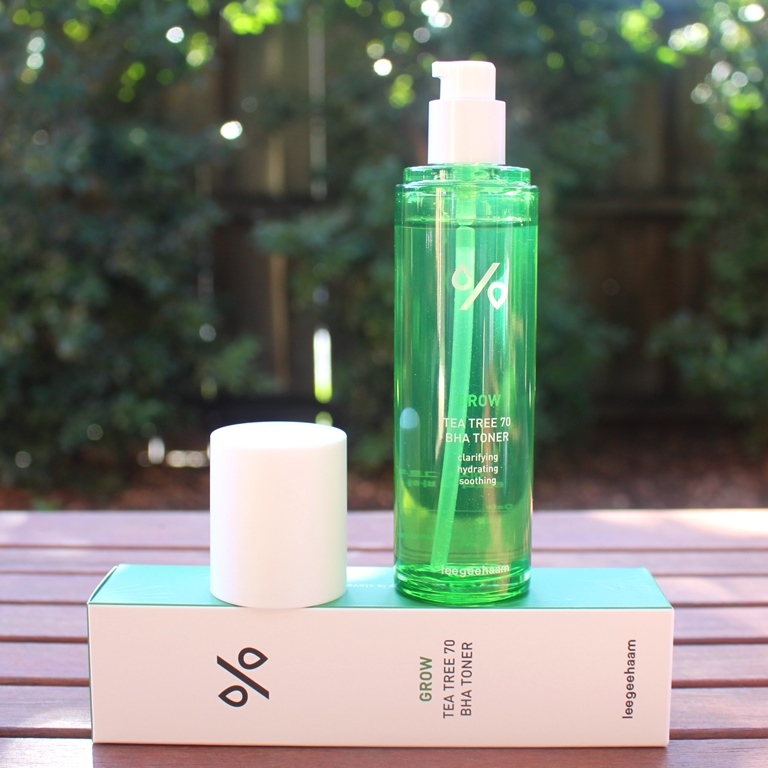 I am an advocate of double toning and always follow my acid toner with a hydrating one to enhance skin moisture. The LeeGeeHaam toner relies on Beta Hydroxy Acids (BHAs) to encourage exfoliation and cell turnover. 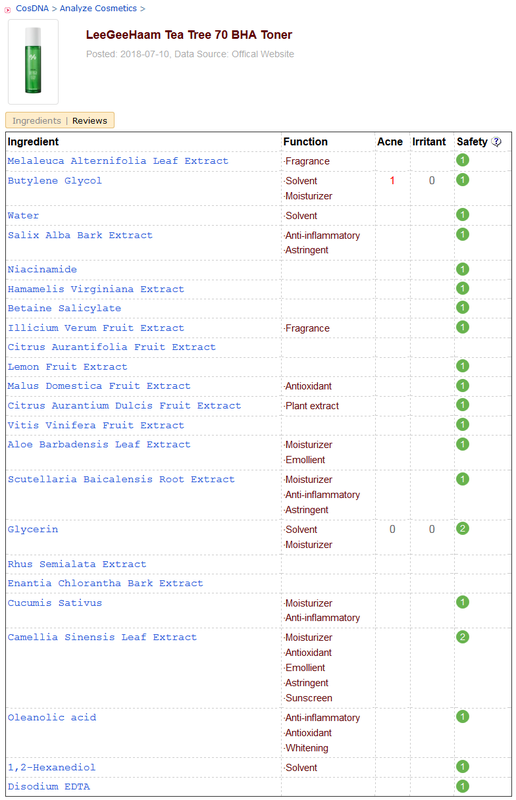 The source is Willow Bark Extract (5%) and Betaine Salicylate. BHAs operate on the skin surface and inside the pore to unclog and treat blemishes so are generally better suited to oilier complexions. As far as blemishes go, I generally don’t suffer acne in terms of pimples, however I am prone to white/blackheads. So, I was keen to observe this toner’s effect on blocked pores. Note, white and blackheads are the result of pores filled with bacteria, oil, dead cells and debris. The difference between the two is that the pore remains closed for whiteheads (closed comedone) but bursts open for blackheads (open comedone). 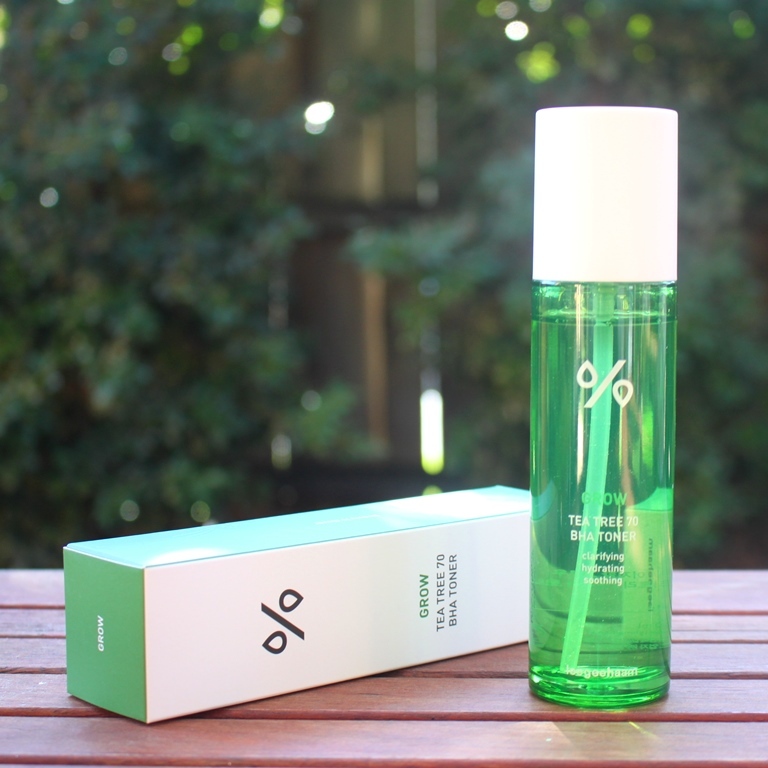 I used it consistently in the evening as my sole exfoliant and observed a clear reduction in both size and count of white and blackheads, better in this aspect than any other toner I have tried thus far. Feeling the skin on my cheekbones where I am prone to these breakouts, the difference is clear. The texture is so much smoother, the bumps clearly softened after only a few weeks use. I hoped the blackheads would improve as the toner can effectively reach into the open pore whereas whiteheads are sealed and reach is more limited, so I had lesser expectations of a result with these. It was a pleasant surprise that both were positively impacted by this product. My face definitely experienced brightening after using this while continuous application enhanced skin clarity, texture and balanced my combination skin, reducing the oiliness around my nostrils and chin and treating blackheads and whiteheads effectively. Given these results, I would anticipate a positive treatment of pimples but cannot conclude this since I do not suffer this skin condition. I have had great results using this product in a short period time and look forward to continued use. As such, I have no hesitation recommending this to treat oily to normal complexions. I suspect that this would be an integral part of an acne focused routine. Furthermore, given it is not stripping or drying, I think drier skin types might also find it beneficial, particularly when following up with a hydrating toner as recommended. This product was provided to me free of charge by LeeGeeHaam for review. This post only includes my honest opinion and experience of this product and is in no way influenced by LeeGeeHaam, product suppliers, representatives or any other third party.